It’s a great news, Gephi has been accepted again for the Google Summer of Code for the 5th year! The program is the best way for students around the world to start contributing to an open-source project. Since 2009, each edition is a great success and dramatically boosted Gephi’s project development. Networks are everywhere: email systems, financial transaction systems and gene-protein interaction networks are just a few examples. 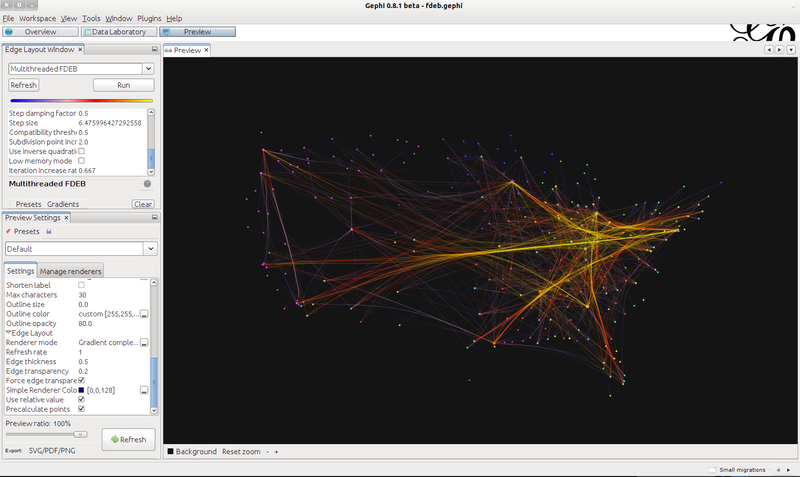 Gephi began as a university student project four years ago and has quickly become an open source software leader in the visualization and analysis of large networks. It is an important contribution to the ecosystem of tools used by researchers and big data analysts to explore and extract value from the deluge of relational data and disseminate a better understanding for people to think about a “connected” world. Gephi is a “Photoshop” for graphs: designed to make data navigation and manipulation easy, it covers the entire process from data importing to aesthetics refinements and communication. Users interact with the visualization and manipulate structures, shapes and colors to reveal the properties of complex and messy data. The goal is to help data analysts make hypotheses and intuitively discover patterns or errors in large data collections. Gephi’s project is young, the growing community is composed of engineers and scientists involved in network science, datavis and complex networks. * Completing Legend module – Complete the Legend module, which was started in last year GSoC. 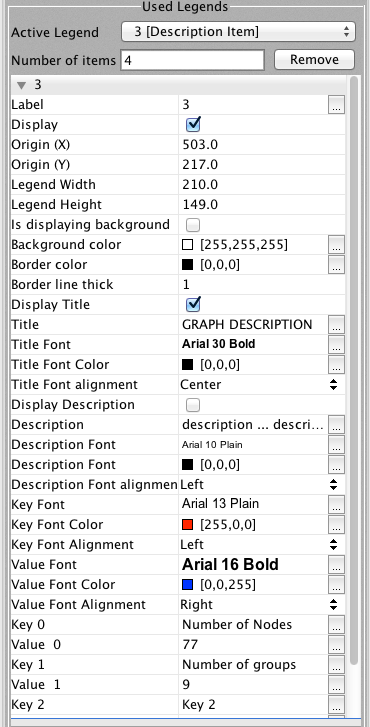 * GraphStore benchmark and tuning – Optimize and tune GraphStore based on a serie of new well-defined benchmarks. Please also propose your ideas on the forum. They will be considered and discussed by the community. Have a look at our long-term Roadmap. 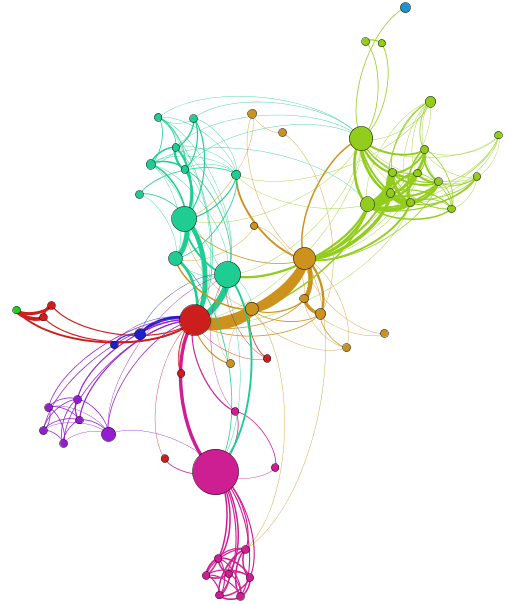 Students, apply now for Gephi proposals. Join us on the forum and fill in the questionnaire. Be careful, deadline for submitting proposals is May 3 (timeline)! View our previous Google Summer of Code projects here and read former students interviews. This year we are also honored to count on world-class researchers as mentors: Yoann Pigné is an Assistant Professor at the university of Le Havre, France, and is a leader of the GraphStream project. We will co-mentor the Graph Streaming project with André Panisson, our former Google Summer of Code student. André got his Ph.D. recently, and authored the video of the Egyptian Revolution on Twitter. Finally, Christian Tominski, who mentored the Preview refactoring last year, will mentor the Force Directed Edge Bundling project. He is a Lecturer and Researcher at the Institute for Computer Science at the University of Rostock. 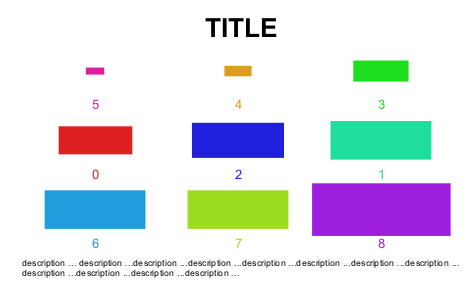 He has authored several articles in the field of information visualization. Former Google Summer of Code students will also mentor and advise students, like Luiz Ribeiro. * Until May 21: Students get to know mentors, read documentation, get up to speed to begin working on their projects. It’s a great news, Gephi has been accepted again for the Google Summer of Code. The program is the best way for students around the world to start contributing to an open-source project. Since 2009, each edition is a great success and dramatically boosted Gephi’s project development. 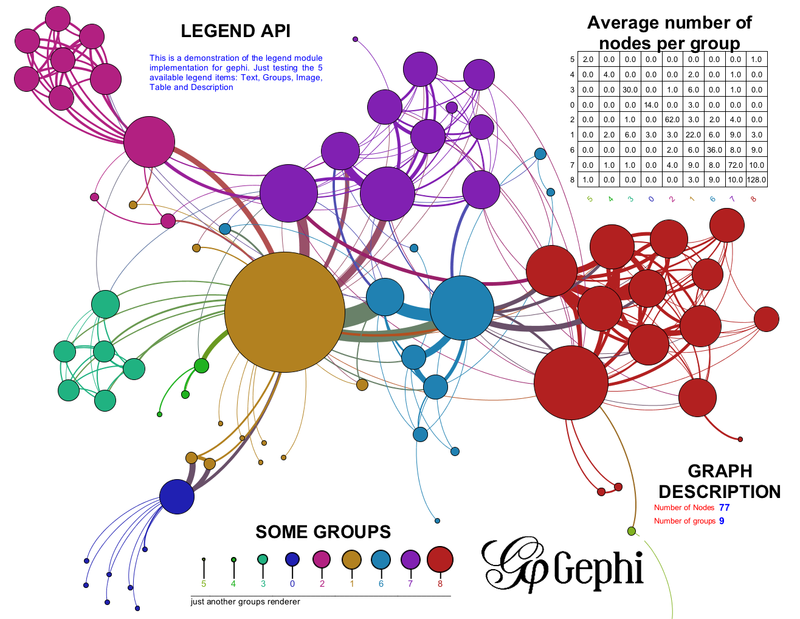 Students, apply now for Gephi proposals. Join us on the forum and fill in the questionnaire. Be careful, deadline for submitting proposals is April 6 (timeline)! This post was originally posted on the Google Open Source blog by Sébastien Heymann, co-founder of the Gephi project and Google Summer of Code administrator. Gephi is a “Photoshop” for such data: designed to make data navigation and manipulation easy, it covers the entire process from data importing to aesthetics refinements and communication. Users interact with the visualization and manipulate structures, shapes and colors to reveal the properties of complex and messy data. The goal is to help data analysts make hypotheses and intuitively discover patterns or errors in large data collections. Our success was made much faster thanks to the Google Summer of Code. The timing of our acceptance into our first Google Summer of Code in 2009 was perfect: we were at the point where we could make the project really open in the way our infrastructure could scale code, and our human organization was ready to welcome contributors. Participating in the program gave us a boost of fame helping us promote the project and created an international community for Gephi. We met many people and learned a lot, but this is the most important lesson to share: though students are paid stipends for their work during the program, money should not be the first incentive. To encourage students to stick with the project, we talk with each of them to find their deeper motivations in working on Gephi and try and develop a win-win situation. And it works! Many of the students continue to contribute to the project for at least a few months after the end of the Google Summer of Code program, and others have gone on to become members of our team. 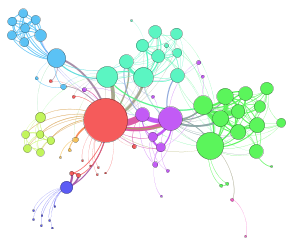 We recognize this long-term investment by promoting their work, like André Panisson who released a plug-in in 2010, which connects Gephi to a graph stream and visualizes it in real-time. André made this amazing video of the Egyptian Revolution on Twitter, when he monitored the hashtag #jan25. More recently, Martin Škurla presented his work at FOSDEM 2012 and talked about his plug-in which connects Gephi to the graph database Neo4j. He started his project during the Google Summer of Code 2010 and continued his work until the release. We really appreciated the effort, so the Gephi Consortium and Neo Technologies Inc. paid his expenses to attend the conference. Finally, I must talk about Eduardo Ramos, who we rejected as a student two years ago for Google Summer of Code but who was so motivated that he decided to contribute to Gephi anyway, becoming one of the project leaders, a Google Summer of Code mentor… and a friend! To learn more about Gephi, watch our madness screencast and view our previous Google Summer of Code projects here. 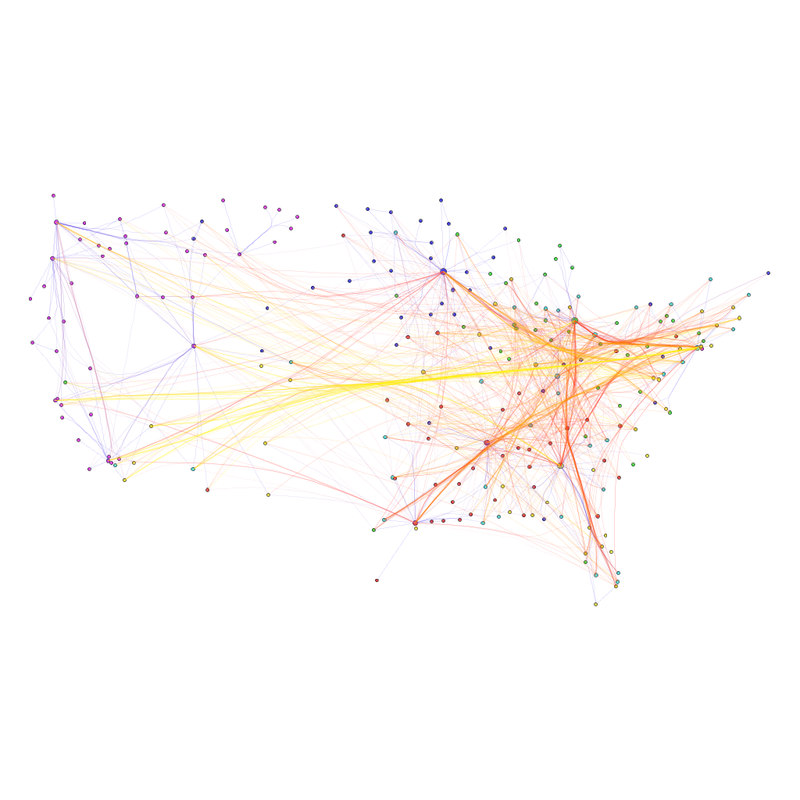 Want to apply for Gephi? Join us on the forum.